No matter where you stand financially, it's a good idea to begin teaching your children about money. The younger you instill basic concepts like saving and the value of work, the more likely they are to lead financially stable and successful lives. While young kids may shy away from school-like explanations, incorporating valuable concepts about money doesn't have to be tedious. Whether you use play-money in your games together or give your children scorecards for the chores they complete, helping your children learn about money can be fun and easy. These printable money games like the coin game will make it simple to teach your children about coin denominations and making purchases. And with their adorable savings-tracker, your child will love keeping track of how much money they are putting away! Plus, these printables from Self Lender include nifty savings jar labels to convert your old jam jars into a DIY piggy bank, which helps you both save money! These games are a great way teach your children about the importance of money management and have fun while doing it. 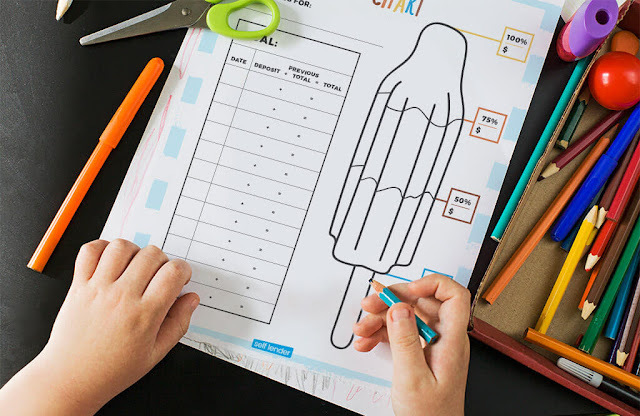 Check out the free printables they created here.